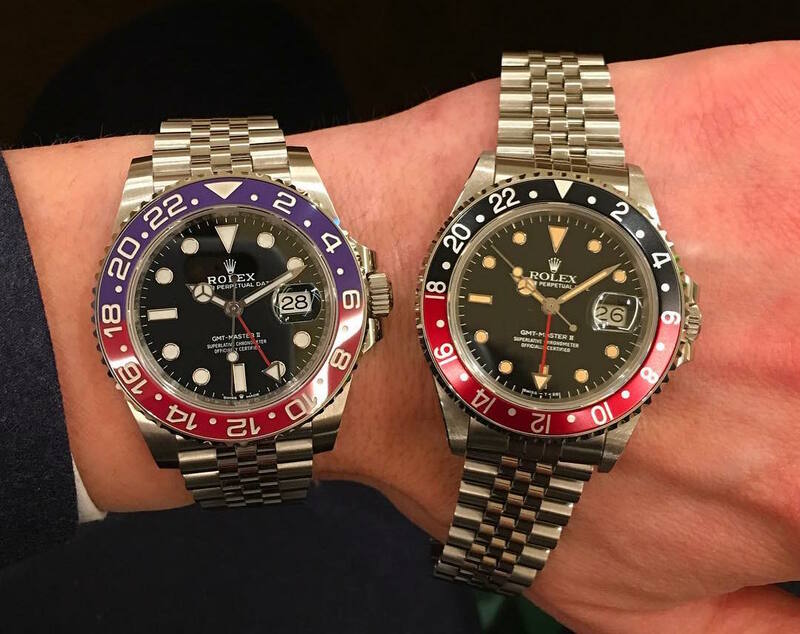 As Rolex fans are getting ready for the release of the new steel Pepsi GMT-Master II, waiting lists have already started to form. 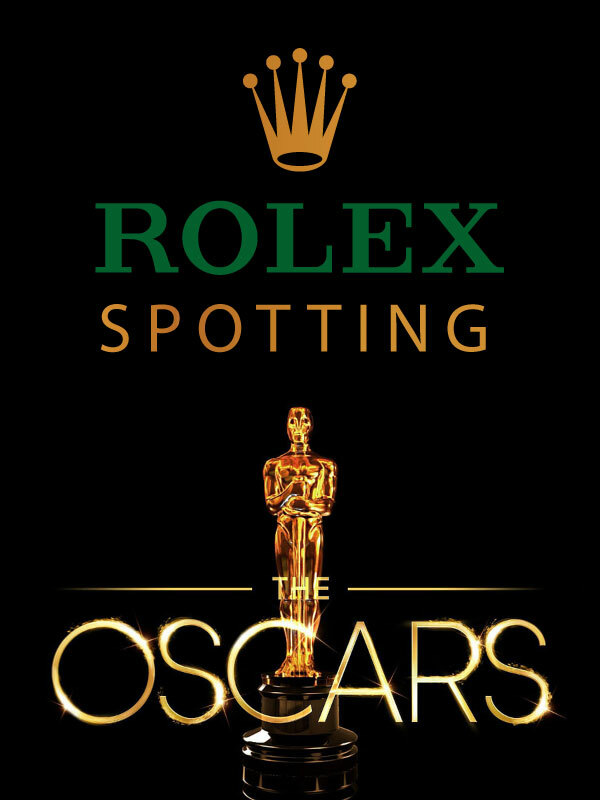 It is no secret that most Rolex sports models in steel today require some kind of waiting lists at Authorized Dealers, who, in turn, are reluctant to give any kind of discount. 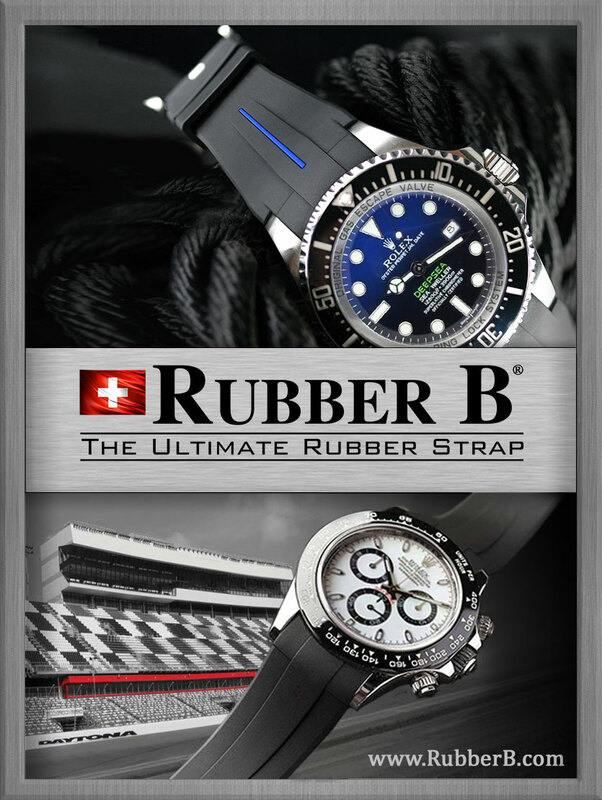 Meanwhile, grey-market dealers, who were once a good source for lower-priced Rolexes, are using their connections to acquire hard-to-get models and selling them above retail prices. The high demand for the steel Daytona, the green Submariner, the black-and-blue GMT and the Red-Line Sea-Dweller, for example, made me take a second look at the vintage market. The vintage market has experienced a dramatic increase in prices in recent years, to be sure. But I believe vintage pieces are poised to continue to gain in value, making it almost a less risky proposition than currently paying above retail for a new steel Rolex. Besides, vintage pieces look cool. 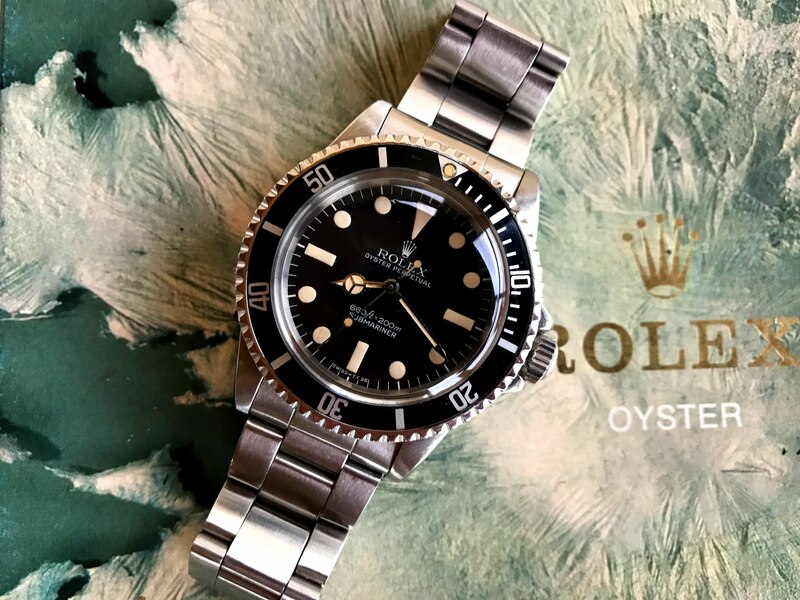 Though Rolex has today some of the most modern movements in the world, for the millenials—a generation who was born after the quartz revolution and has grown up during the smartwatch revolution—mechanical movements are synonym with "old school." Most watch brands have tapped into that old-school feel by releasing anniversary editions or modern interpretations of vintage models or even using vintage design cues, like a faux-patina or a big, unguarded crown. 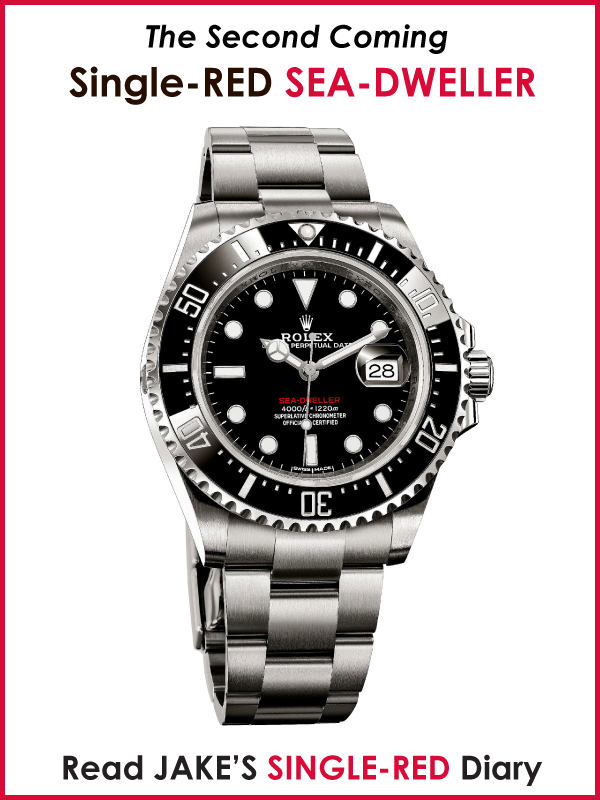 Rolex has also given a nod to the past with its new Single Red Line Sea-Dweller, the big orange GMT hand on the Explorer II, and of course, the Jubilee bracelet on a Pepsi GMT-Master II. 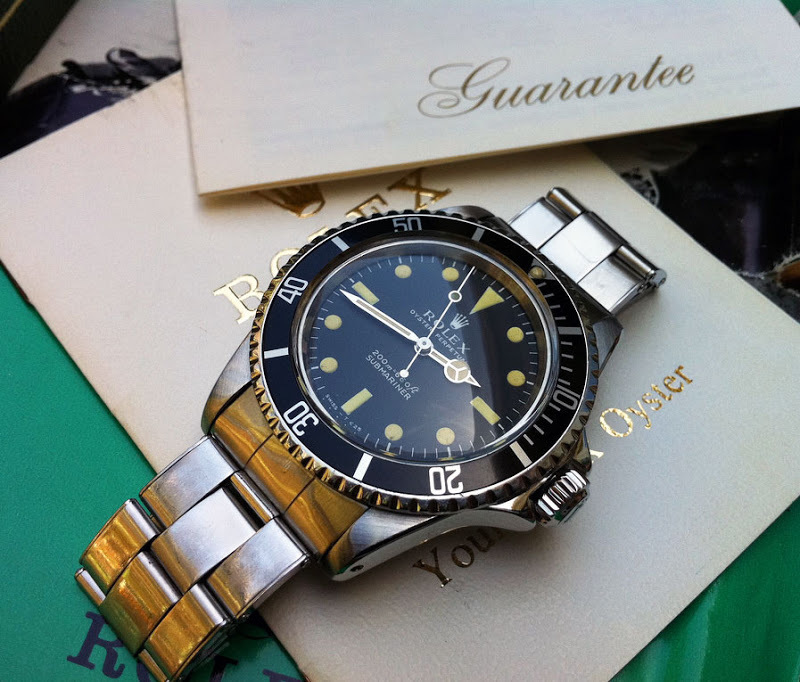 My other reason for exploring the vintage market is a fear that I might soon be priced out of some of the coolest pieces Rolex has ever made, like a Submariner or GMT with a plexiglass crystal and faded bezel. I was on the hunt for a pre-1990 GMT (1675 or 16750; I like the slightly wider bezel) with a nice patina and a case that was not over-polished. Though I was new in the vintage market, I knew some of the basics when it came to case integrity, dials, hands and markers. Still, the vintage path can be fraught with danger, and I decided to turn to my friend James Dellios who lives near Melbourne, Australia, and has been collecting for almost a decade. After talking to him, I knew I had to completely change the way I thought about shopping for a Rolex. 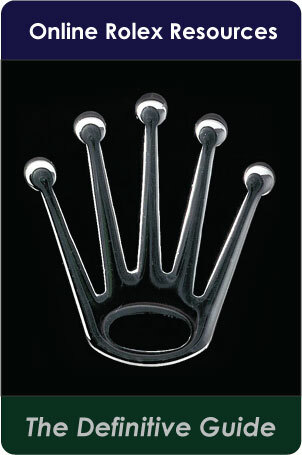 When I bought a new Rolex, I looked for the best deal possible, of course, since the product is essentially the same. But when I shop for vintage watches, James tells me, I shouldn't look for price but for the best condition possible. "If it's cheap, it's cheap for a reason." "When you start getting at that level of collecting," James said. 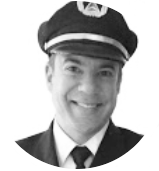 "You have to think about value retention. And if you're getting something that is not 100% at that sort of level, you might find some troubles when you're looking at moving it on. Always try to get the best example of whatever it is you're trying to buy." James has been collecting for just eight years and has over 50 watches. I could see how vintage collecting could quickly become an addiction—and a money pit. James, like me, is a child of the '80s. He grew up around quartz watches but was quickly fascinated by mechanical movements when he realized he could wind the Omega that belonged to his late grandfather, and "back to life it came," he said. 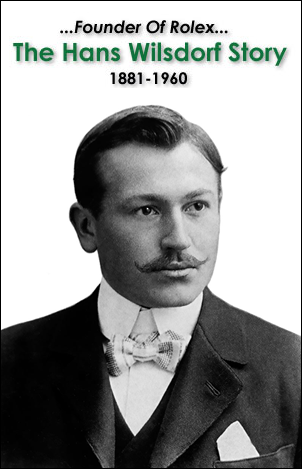 While he started to collect pocket watches and dress watches, he researched vintage Rolex sports models. 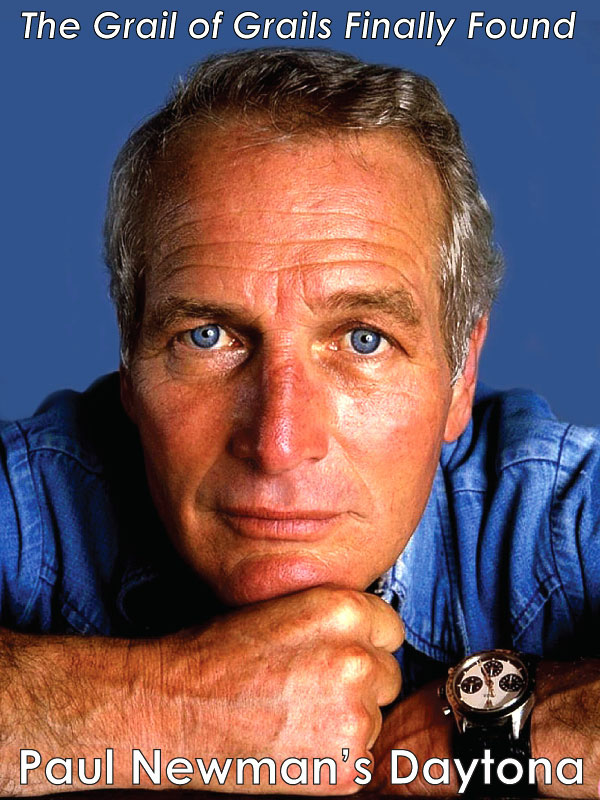 Two years later, he bought his first vintage Rolex Submariner reference 5513. "After that I was hooked," he said. 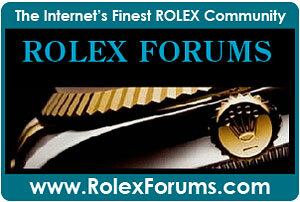 "I simply love Rolex history and the timeless design of vintage Rolex sports watches and the way they patina and age." Over the years of collecting James has improved his knowledge from handling a lot of watches, doing research, and of course making mistakes. "Don't confuse patina with damage," he told me. "Also, when you see old grime beneath bezels, between lugs and around case backs, it's a good indication of being an untouched example.﻿"
James' first vintage Submariner ref. 5513 with Mark 1 Maxi dial, fat-font bezel insert and superdome plexiglass from 1978. Buying from a brick-and-mortar business gives you face-to-face interaction with the seller. You can handle the watch, inspect it and try it on. 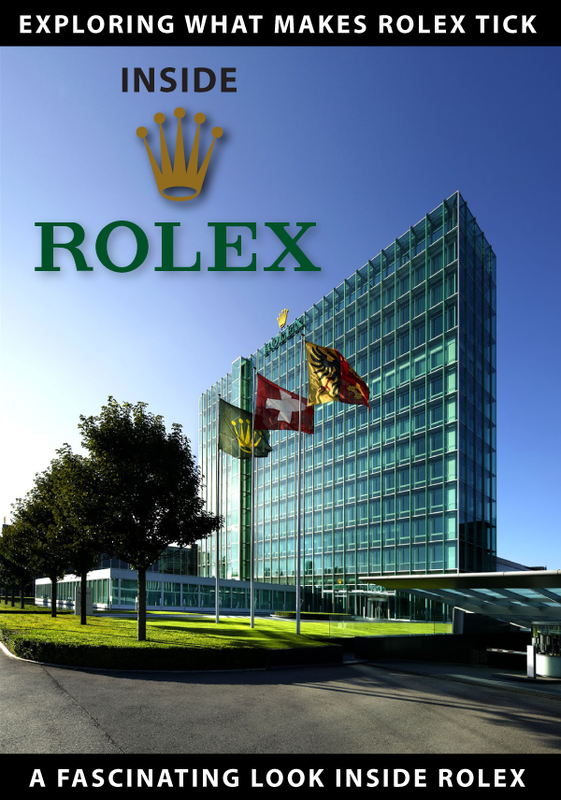 All respected vintage-watch dealers should guarantee their watches to have all original Rolex parts and back the watch with at least twelve months warranty. When you have zeroed in on the particular model you want, and you find one for sale don't pull the trigger unless it ticks all your personal collecting boxes. 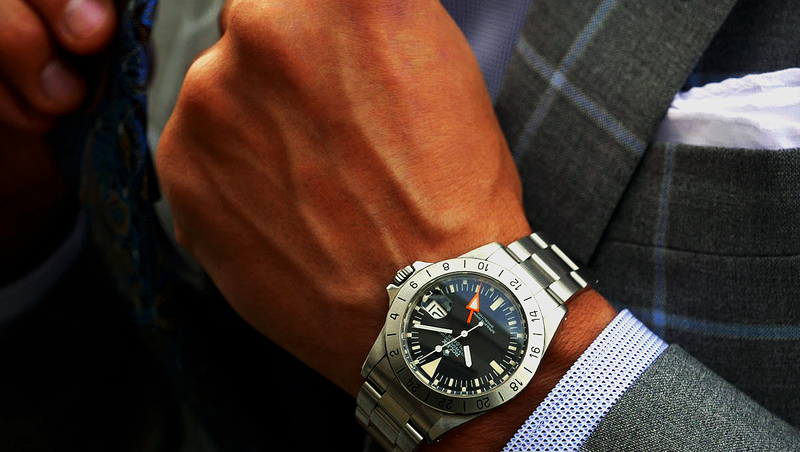 For me, it's condition and originality and believe me, it takes time to find a watch with both qualities. James' recent acquisition: a birth-year Daytona ref. 6265. Dealing face-to-face with a seller is great for asking tricky questions. If the seller pauses or facial expression changes, and he can't be direct with an answer to a question, such as, "Why are the hands so badly corroded, but the dial is mint?" It could simply mean that he is not sure, but more than likely the watch has been pieced together. 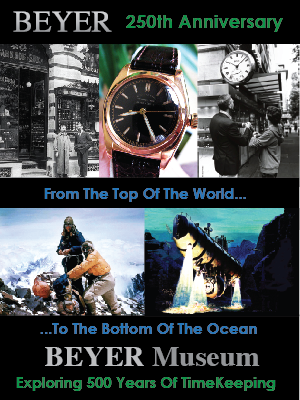 I also like to ask about the origin of the watch; sometimes it has an interesting history. Having a loupe is a must for overall condition. A cheap 5-times magnification is adequate. Then you can inspect dial surface, dial font, lume plots, hands and bezel inserts closely for touch-ups, relumes, scraped lume plots—in short, anything that devalues the watch. l recommend a professional Nikon ten times magnification loupe. 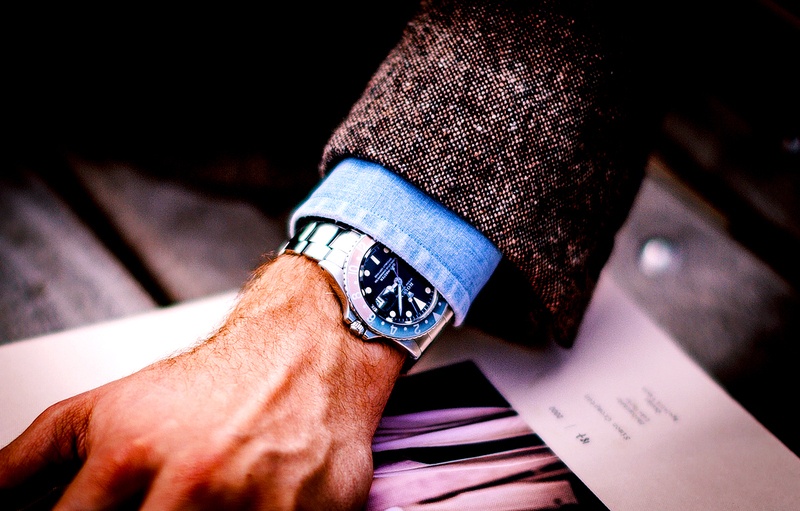 Make sure when inspecting the watch that you have plenty of bright light, natural light is best. 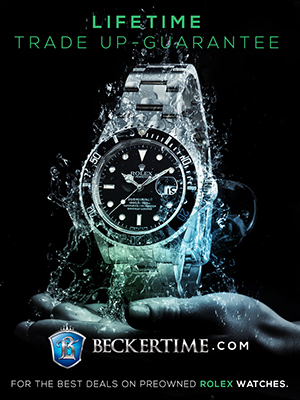 If your budget is at the low end of the particular Rolex reference you want, say a 5512 Submariner, my advice is to go for a less expensive reference. 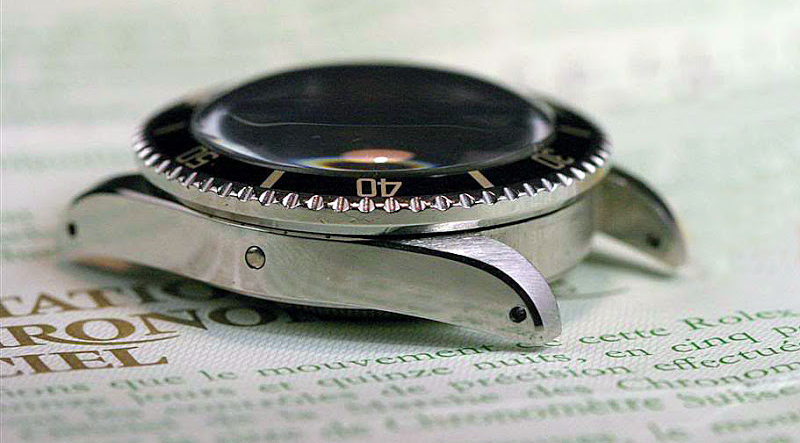 This will allow you to buy a much nicer condition watch. You could buy a mint 5513, enjoy owning it and continue to save. And when you're ready to aquire that minty 5512, your beautiful 5513 has great tradability. Remember, dealers love getting desirable trades; it effortlessly stocks their shelves. 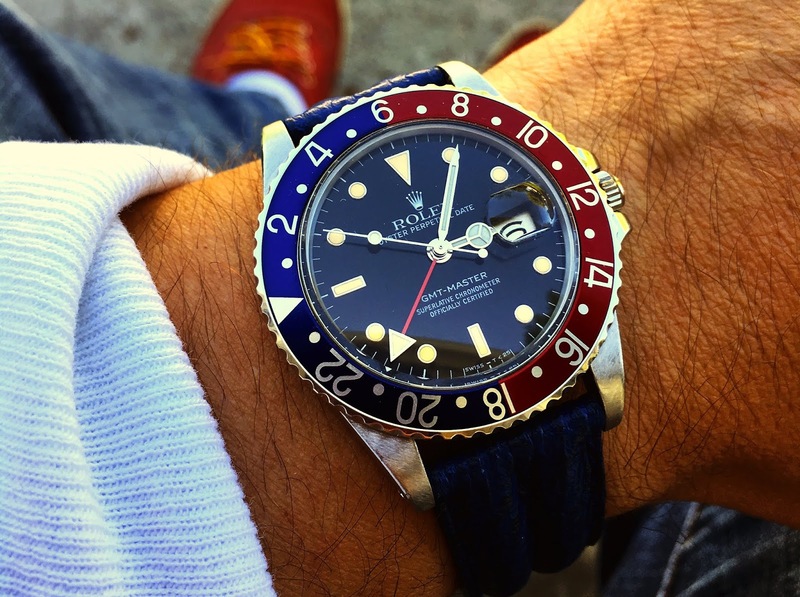 As for me, I decided to take the plunge, and I bought a thirty-four-year-old Rolex GMT-Master 16750 (pictured above). The watch came on a Jubilee bracelet with original box. It has a service bezel, no doubt, but I love how it pops. I love the markers' patina. I put it on a blue strap—the watch is ready for the summer! 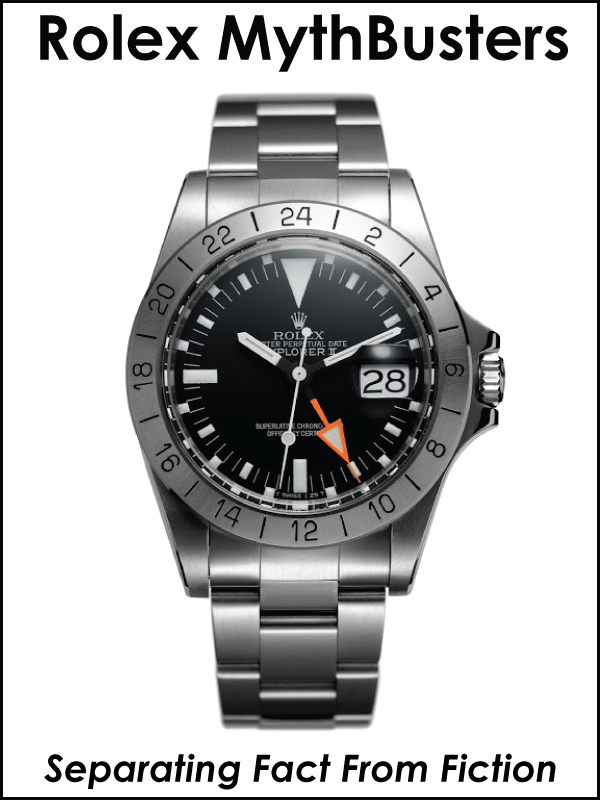 It was cheaper than a new GMT and, best of all, there was no waiting list!